Prosecutors and courts in Massachusetts, Rhode Island and/or Connecticut do not treat drug offenses lightly. District and State Attorneys’ offices use every means at their disposal, state and federal laws combined, to prosecute these cases very aggressively. If you have been arrested for a Rhode Island Drug Offense, you face a number of critical decisions to make. 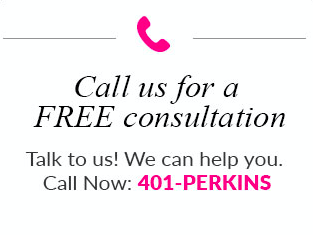 The first step is to call Susan T. Perkins, and it is an extremely important one if you are facing charges right now, or if you think that you will be facing charges soon. The experience and skill level of the attorney you hire will have a direct effect on how much bail you will have to pay, how much of a jail sentence you may face, and whether your constitutional rights will be adequately protected throughout the legal process. It is an extremely important choice. Regardless of the Drug Crime that you might be accused of, both the police and prosecutors are required to respect and adhere to the constitutional rights that you are entitled to under the law. I know how to explore legal weaknesses in the Commonwealth’s case against you, and I will analyze every aspect surrounding your arrest for any possible legal flaws surrounding your arrest or detention. Often, various legal issues will arise as to the legality of the drug’s search and seizure, such as whether evidence was illegally obtained or whether probable cause existed for a search at all. I know how to utilize such information to aggressively defend your constitutional rights. If you are arrested for selling just over an ounce of marijuana within 1000 feet of a school zone – even if you were just selling it to a friend for personal, recreational use – you could face a mandatory jail sentence. “Mandatory” means that the judge involved would have no discretion or ability at all to lower the sentence: You could immediately land in jail or prison. If a friend or loved one were suffering severe pain for some reason and could not get a doctor’s appointment for a day or so, and you offered to bring him or her some prescription painkillers that you had previously been legally prescribed, you could be charged with drug trafficking charges, and your friend charged with drug possession charges. A charge of “trafficking” means that you are being accused of selling or distributing a controlled substance. If you are stopped by police for any reason and prescription drugs are found on your person but you do not have the prescription bottle with you, you could be held by police and charged with illegal drug possession. These are just a few examples of how easily a person can be arrested and end up in jail for fairly minor drug offenses in Massachusetts, Rhode Island or Connecticut. Even more common, teenagers and college-age students typically experiment with marijuana and other relatively minor drugs. If charged and convicted, the resulting criminal record will follow them for the rest of their lives. On an immediate basis, it can even disqualify them for federal financial aid in college. Conviction of a charge like this is not something that should happen to a young person starting out in life. Class C Substances: Usually includes prescription tranquilizers and prescription narcotics such as Clonazepam, diazepam (Valium), and Hydrocodone (Vicodin;) Also mescaline, mushrooms (“psilocybin,”) and similar hallucinogenic drugs. Class D Substances: Usually Marijuana and Phenobarbital. If a person is found to be in possession of any of these controlled substances (with the exception of one ounce or less of marijuana,) severe criminal penalties can apply. Note: Any criminal charges for prescription drug violations presume that the defendant did not possess a valid prescription for the drug from a licensed physician. I’ve Been Arrested For One Of The Offenses listed above. What can you do to help me? As with many drug cases, the first legal mechanism I typically employ on behalf of our clients charged with this type of crime is called a Motion To Suppress. These types of Motions are used to exclude evidence seized by the police in violation of certain constitutional rights you have. The police are prevented from bringing into evidence anything obtained in violation of your constitutional rights under the circumstances in which you were arrested. In sum, the objective is to get the evidence thrown out of court. If the facts do not support a Motion To Suppress in a given situation, there are several other defenses available in drug cases. These commonly relate to who was in actual possession of the contraband (for example, if the drugs were found in a car with passengers, or in an apartment with more than one tenant). Prosecutors sometimes charge “Possession with Intent to Distribute” which is a more serious charge than mere Possession, when a person is arrested along with large quantities of drugs. When this happens, we can possibly reduce the formal charges to simple Possession. If you or someone you know has been charged with Drug Crimes or Drug Offenses, please contact Rhode Island Drug Crimes Lawyer Susan T. Perkins at 401-737-5467 for a FREE consultation.